Both Push Notifications and Remote Notifications need to be turned on in Xcode. The payload’s aps dictionary must include the content-available key with a value of 1. 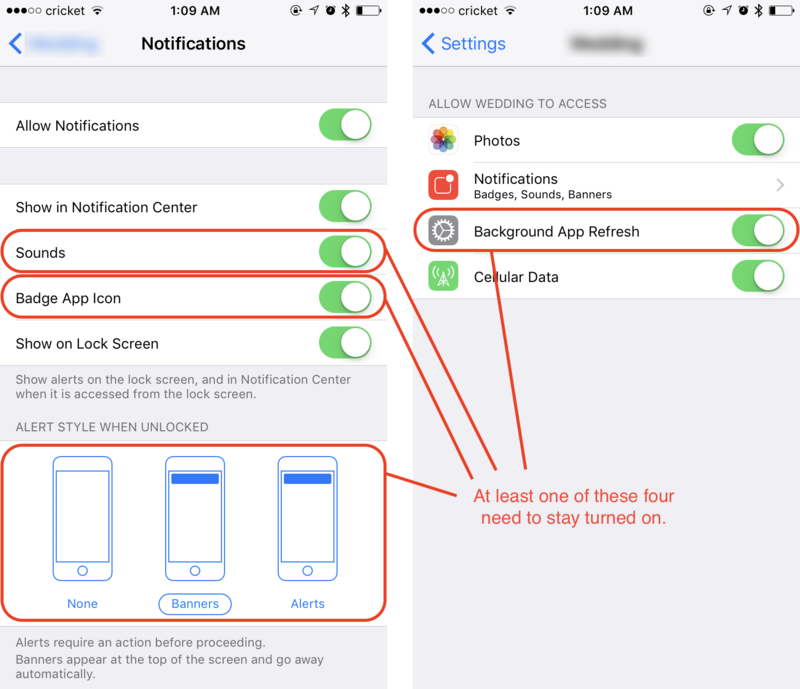 The app has to acquire as least one of these four permissions: alert, sound, badge, background app refresh. This can be check in app by: UIApplication.shared.isRegisteredForRemoteNotifications (iOS 8.0 and later).